Experience glaciers, mountains, glacier lakes, and flora and fauna that exist nowhere else on earth. 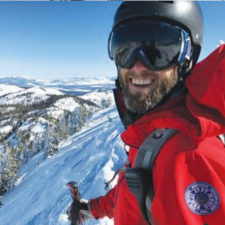 Alpenglow uses an extensive lodge and camp system, allowing for a true mountain experience. Spend a day on the glacier, learning the basics of walking in crampons and using an ice axe. Our Torres del Paine trekking trip visits this impressive region of Patagonia, and combines travel by private vans with supported trekking. Walking is the only way to really experience Patagonia. While we are able to explore areas of the national park far from roads and tour buses, an extensive lodge and camp system means we do not need to carry heavy packs. Each night we will have meals in the lodges (and then sleep outside in quiet and clean permanent tents) that are scattered throughout the park, where we finish long days of walking and exploring in front of roaring fireplaces. Our 10-day expedition takes full advantage of all that the region has to offer. We begin in Punta Arenas, a town famed as a starting point for countless Antarctic expeditions. From there we head into the national park, trekking for 3 days to the base of and then around the Torres del Paine, jagged granite towers that have become the icon of Patagonia. Three days gives us time to see these incredible mountains from all sides, and to explore the different ecological zones that exist on each. The towers are a photographer’s dream! 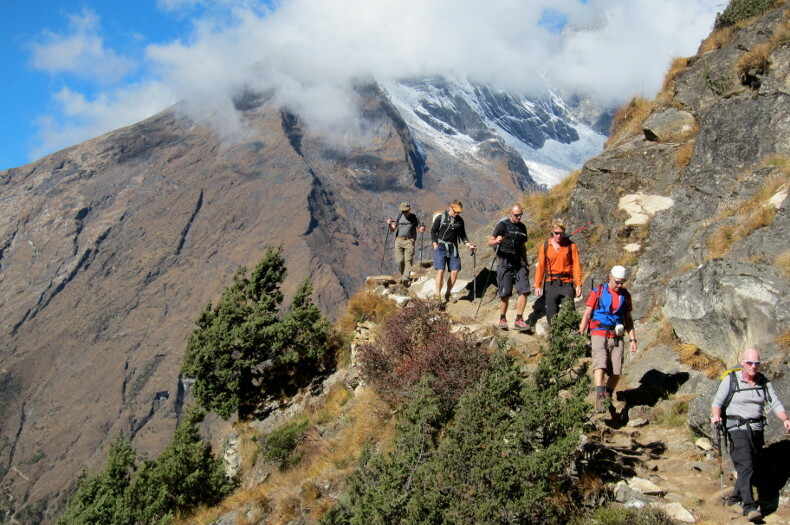 Being in top physical shape not only gets you through each day of trekking, but makes it fun! Arrive into Punta Arenas, where we meet you at the airport. Punta Arenas is one of the southernmost ports in the world, and a starting point for Antarctic expeditions. We spend the afternoon exploring this historic town, and spend the evening in one of Punta Arenas’ nicer hotels. We leave Punta Arenas, driving by private van to the Seno Otway Penguin Colony Reserve. After lunch and time exploring the penguin colony, we continue our drive through semi-arid plains to Puerto Natales, just outside Torres del Paine National Park. Today we enter the park and trek seven hours round-trip to the base of the Torres del Paine. These are some of the largest granite spires in the world, and we enjoy stunning views from our trek. Tonight is spent at the Chileno Lodge, inside the park. Our 5 hour trek takes us around the towers to the banks of Lake Nordenskjold and the Los Cuernos Lodge. From here, we have views of the towers behind the lake. Today we trek through the France Valley, deep into the National Park. This area sees far fewer visitors than the more easily accessible trails, and is considered by many to be the most beautiful valley in Patagonia. Six hours of walking takes us to our lodge on the shores of Lake Pehoe. In the morning we take a short trek to our lodge on Grey Lake. After an early lunch we take a Zodiac boat to the tongue of the Grey Glacier. We don crampons and spend the afternoon exploring the ice, crossing a small section of the glacier, and, for the adventurous, trying some steeper ice climbing on the glacier’s seracs. This is a unique opportunity that few visitors to Patagonia will experience! This morning we take a larger boat to the southern end of Grey Lake, spending time wandering among the floating icebergs that have separated from the hanging glaciers. On the south side of the lake, our van meets us and transfers us to Puerto Natales on the shores of Last Hope Sound. Here we have a celebration dinner and spend our last night in a hotel on the Sound. After breakfast we transfer to Punta Arenas to catch our flights home. Flights to the USA generally leave in the afternoon and fly via Santiago. Would you consider putting together a custom Patagonian Trek? We always love putting together custom expeditions. This creates more flexibility in your schedule and also provides for the best experience. Call or email to get the conversation started!